This week we have two blogs concerning Stephen Fry's recent shocking comments about survivors of childhood abuse. In Stephen Fry loses respect of mental health survivors due to insensitive comments - Stephanie Taylor King wonders how the man who used to be perceived as one standing up to the establishment, and, more importantly, be a respected voice in the mental health survivor movement, could have come up with such unacceptable comments concerning those who live with the memories of childhood abuse. The second blog is by Dolly Sen. A writer, director, artist, filmmaker, poet, performer, playwright, mental health consultant, music-maker and public speaker, Dolly has published 8 books since 2002; has taken on performance roles at The Young Vic, the Royal Festival Hall, and around Europe; undertaken a poetry tour; won a poetry award from Poet Laureate Andrew Motion; directed two plays and several TV films; and performed spoken word at City Hall and Oxford University. This week, Dolly Sen writes an open letter to Stephen Fry. 15.30 Closing comments – what next? Download the flyer here. Booking essential. 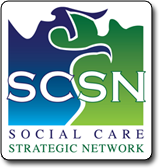 Social Care Strategic Network (SCSN) and the National Survivor User network (NSUN) are looking for practical examples of where people using services have been involved in the co-production of innovative social approaches to mental health from across the country, and gather information on what has been achieved. An event will follow SAVE THE DATE 15th June in London. The University of Exeter are conducting research into a new online self-help treatment for depression or low mood. The study seeks to investigate if a treatment called Behavioural Activation can be delivered online. The university is looking for people struggling with low mood who are over the age of 18 and have access to the internet. The trial is open to those who live in the South West of England (Cornwall, Devon, Somerset). If you are interested, please contact Jeff Lambert by email or phone 01392 725705. Jeff can give you more information about the study and what’s involved. More details on this PDF. Value of Tender: around a maximum £8000 (including fees, expenses and VAT). NSUN members friends and colleagues are offered a discount to attend the Mental Health in the Young Conference 2016, which is taking place on Tuesday 21stJune 2016 at the University of Salford. This one day conference will provide delegates with the opportunity to discuss and debate the growing prevalence of mental health issues in children and young people, the crisis that mental health services are experiencing as a result, and what action is being taken to address these issues. For a full list of topics planned for this event, please visit here. Don't forget that NSUN members and friends are offered discounts on other events due to take place between April and June, there being organised by HCUK. Please visit this page for the list of events and discount code. TESS is Bristol based Self Injury Support's text and e-mail service that supports young women up to 24yrs. Visit the TESS pages to see lots of information about the service. Would you like to become part of the organisation's team of TESS volunteers? Self Injury Support are recruiting volunteers for the TESS service to begin volunteer training in May 2016. The training will cover issues around communication, self-injury, young people and mental health, relationships, abuse and suicide. The dates of the next training are on this page, along with the role description and application form. You need to be able to attend every session. The training will be 10.00am-4.00pm and held in central Bristol. If you have any questions or would like further information please email or call Sarah Whitfield on 0117 927 9600. The closing date to apply is Wednesday 27 April 2016. This week end, large anti austerity events took place in Brighton and London. People who attended in London hope that the number of protesters has surpassed those of the 2011 event which was attended by 500 000 according to the Independent. This article contains a report and a gallery of pictures for the 2011 event. 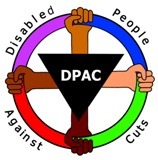 So far we've found very little reporting about Saturday's, apart from this video shared on Twitter by DPAC (Disabled People Against Cuts), showing representatives speaking at their stand in Trafalgar Square. The speech was translated live in BSL. We've also found this piece in the Guardian, where people explain why they marched on Saturday. Their reasons go far beyond asking the Prime Minister to resign over the Panama Papers, which the People's Assembly had chosen as the theme of the demo. 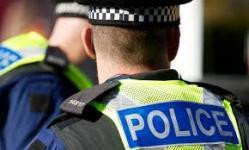 The College of Policing is working with mental health providers and police services to develop a national agreement about how and when police should be called to mental health wards and in particular their involvement in restraining patients. Together with the Department of Health Mind are running a focus group of people with personal experience of restraint and other relevant expertise, to help make sure that the agreement works for patients as well as staff and police. There will be a police and nursing representative there too. London on Thursday 28 April, 1-4pm. To attend, please email Alison Cobb by Thursday 21 April saying why you’re interested in the event. You can also call: 020 8215 2267 / 07767 695 983. Everyone selected to take part will receive £50 for their time, and Mind will reimburse your travel costs. Building on the success of last year’s event, the Healthy London Partnership’s Digital Programme is once again inviting leaders to participate in UK eHealth Week. Olympia on Tuesday 19 April, between 10.45 and 13.45 in the NHS Plenary, Theatre 1. This year the Partnership launches ‘Take the London Opportunity’ showcasing how it intends to connect the city and its citizens. 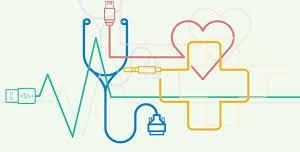 Coordinate My Care will showcase real time information shared with other suppliers during a live demonstration. Healthy London Partnership are recruiting a Patient and Public Voice Champion to support the development of our Digital and Personalisation programmes. As a Champion, you will be working alongside other board members to drive the programme forward. The ideal candidate will have senior level corporate experience, a passion for health care improvements, be technically savvy and have excellent communication skills. Hearing Things explores the dilemmas of psychiatry from the points of view of patients, relatives and staff. Based on experiences of psychiatrists and patients, the ‘healthy’ and the ‘ill’, looking at how and if people heal and recover inside institutions. For the past three years, Playing ON has been collaborating with psychiatrists, other staff and patients, drawing together the stories of those receiving and providing mental health care. Hearing Things is the result of that process. 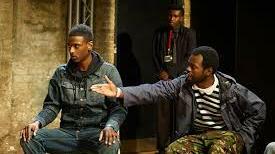 Playing ON make quality theatre with communities whose voices are seldom heard. They work in a variety of settings, generating theatre from improvisations inspired by real life experiences. This piece is written by Philip Osment. Check the venue's website for details of related workshops, performances and events at the Albany on the theme of mental health and wellbeing from 18 – 30 April. Events include the previously announced Black and Alaska plus Talk About Something You Like: Byron Vincent’s comical and confessional account of living with the mental health diagnosis, and The Dramatherapist’s Dread: a darkly comic look at a drama drop-in workshop where the participants may not turn-up. Tuesday 26 – Saturday 30 April, 8pm. Saturday 30 April, 2.30pm.Ages 14+.Tickets £12 / £10 concs. Booking: The Albany | 020 8692 4446. The Albany. Douglas Way. Deptford.London SE8 4AG. Local NHS Trusts are working together to improve peoples’ experiences when using emergency and urgent care services/ pathways. An important part of getting this right is to listen to patients and carers’ experiences of using these services. Share recent experiences in our care, one-to-one with a member of our hospital staff, telling them what it was like ‘in your shoes’. 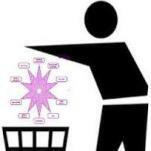 Discuss what went well, as well as what needs improving. Share your ideas and listen to other people’s views in group discussions. Help us shape our priorities as we continue to improve our patient experience. Please note, reasonable travel expenses will be reinbursed on the day. Are we failing the UK’s mental illness sufferers? It is estimated that around three-quarters of people with mental health problems in the UK receive no care at all. While the government has committed to a £1 billion spend by 2020, is this enough, or does something more fundamental need to change in our attitude, and soon? 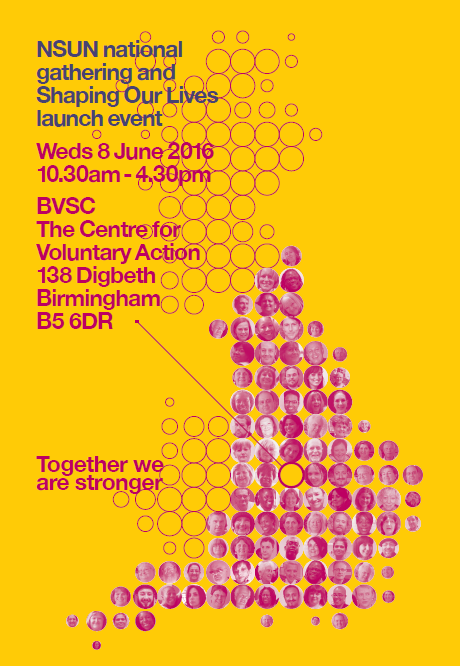 The panel includes Luciana Berger MP, the first-ever Shadow Minister for Mental Health, Paul Farmer CEO of MIND and Chair of the NHS’s Five Year Forward View Taskforce for Mental Health and Professor Sir Simon Wessely, President of the Royal College of Psychiatrists - Further speakers to be announced. A series of talks, conversations and debates, given by leading voices in the arts, media, science and politics, which explore the themes raised by the productions on our main stage in creative ways. 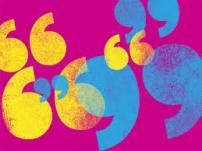 Old Vic Voices Off provide a platform for experts to voice their opinions, and reflect the colourful and wide-ranging approach of Matthew Warchus’ first season. Recovery In The Bin (RITB) is a mental health social justice group. In response to the news about the government recruiting 180 new presenting officers (see article above), they are fundraising to help train 16 volunteers to support people with mental health difficulties before and up to ESA/ PIP tribunals. Welfare Rights training - ESA and PIP (form filling/collecting evidence/over view of tribunal process) - Last few places remaining. FREE for 16 people (ex or current mental health service users preferably with experience of being a claimant). All participants will receive a FREE copy of Tom's book. There will be a strict no filming/photography request for both days. RITB want people to attend with a view to assisting someone with their forms afterwards, be that a friend or someone you know in your networks. Or teaching the skills you learn (and to as many people as you can). Book via Twitter or Facebook. An event organised by the North East London NHS Foundation Trust (NELFT) and the Academy of Peer-supported Open Dialogue (APOD). Since the last conference nearly 60 clinicians from around the country have completed the first training in Peer-supported Open Dialogue in the UK and dozens of families in 4 NHS Trusts have now received care in this way. Peer-supported Open Dialogue is on its way to become a reality in the NHS, with a further 80 peers and clinicians to be trained in 2016, and a large scale research study also being planned. Former health minister Norman Lamb is calling for action over the disparity of mental health provision at Norfolk’s three A&E departments. Dr Rachel Clarke and Dr Dagan Lonsdale have begun an ‘indefinite’ protest against planned changes to their contracts. Video report. Health secretary Jeremy Hunt was met by protesting junior doctors when he arrived in Oxford to promote dementia research.